Please post your comments regarding the show here on my blog, so that I can hear about your experiences! We had an awesome grouping of quilts… 129 of them to be exact. The overall winner was Devonna Haines of Benkelman, Nebraska with her Sun Bonnet Sue Calendar quilt. Other winners were Keeley Confer, also of Benkelman, Laura Nicks of Loveland, Colorado, Nicole Howard of Saint Francis, Kansas, Sheena Burr of Seibert, Colorado, Millie Bracelin of Wray, Colorado and Anita Hoyer of Elizabeth, Colorado. Congratulations to all of the viewer’s choice favorites listed… however, each and every one of you who entered quilts was someone’s favorite quilter, so I think you are all winners! The raffle quilt was won by Gene Bainbridge of Wray, Colorado. Gene is the Mother of winner Anita Hoyer, a long-time participant in the show, and multiple viewer’s choice winner, as well. If you have yet to pick up your quilt… they are being saved for you at Rainbow Fabrics in Wray. Again, enjoy the photos… whether you were able to attend or not. I think it gives a pretty good representation of the show. The next years show is scheduled for June 22, 2013 and upcoming details will be posted at www.wraychamber.net/quiltsoftheplains.php so check back periodically for updates. 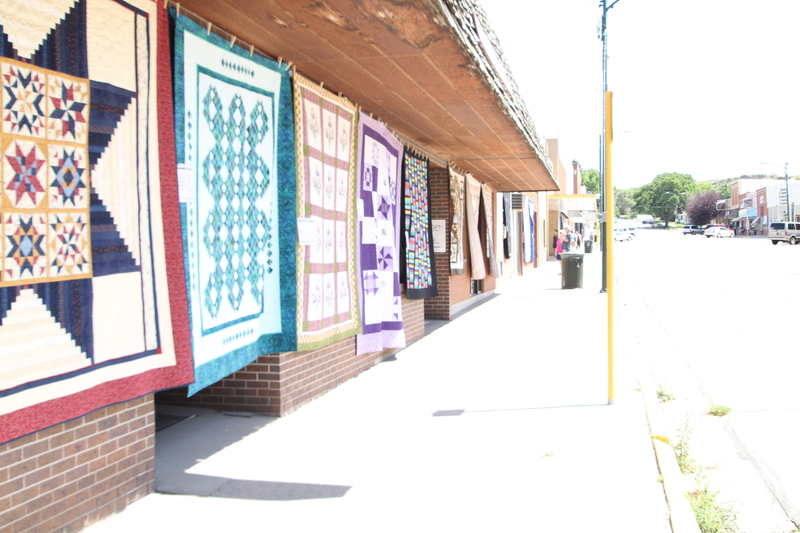 Thank you, Brian, for not only posting the photos from the quilt show, but giving me the visual opportunity to walk Main Street and see the familiar sights from my childhood, plus see some beautiful smiling faces I know! Of course, the quilts were the stars of the show (I had my personal favorites) but you are correct when you wrote they were all someone’s favorite. Being a quilter, I appreciate the hours and workmanship that went into making these quilts. Congrats to all—winners and entrants alike. Thank you, Brian for all the hard work you put into Quilt of the Plains. I wish I could of been there, although I heard it was HOT, HOT, and HOT! I loved all the pictures and each and every one of the quilts! Talent abounds in the high plains of Colorado. I am planning next years entry already.